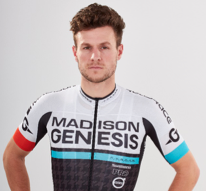 Madison Clothing has revealed its brand new Madison Genesis team kit for 2017. 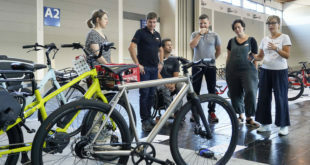 The brand commented that the new range – which is set to launch at the in-house trade show iceBike* – is the result of many years of hard work and collaboration with the team. The partnership started back in 2012 with the first Madison Genesis kit launch. Since then, Madison Clothing has worked closely with the riders to tweak every aspect of the kit to increase comfort and performance. 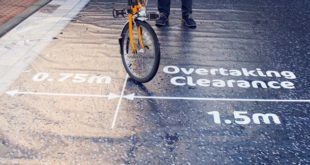 Professional cyclists spend a significant number of hours of the bike; this means that each clothing item is put under a great deal of stress. Monitoring these athletes provided Madison clothing designers with a great deal of information to use in the development of new products. On top of this, the close contact with professional riders provided valuable feedback from athletes who have been riding with high-end products for many years. Matt Cronshaw is one of the riders that helped to develop the new kit. 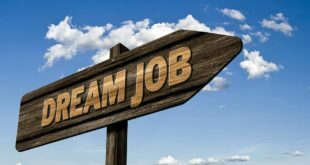 He said: “Since I joined the team in 2015, the team has always had an input into products made from Madison Clothing, from completely new pieces to small tweaks and changes. I’ve always had an interest in design, so I jumped at the chance to spend an intensive couple of days fine-tuning the pieces that we race in. The RoadRace Premio Team Jacket was a new addition for 2016. Taking inspiration from the award winning Apex Jacket, it was stripped back to reduce weight and bulk. The RoadRace Team SS Jersey received a range of amendments for 2016 including a shorted front to reduce zip distortion, a narrower body cut and laser-cut cuffs. The new RoadRace Team Bib-shorts feature a new Italian TMF RPS race pad, featuring a moulded 130-degree pre-curved shape and laser-cut smooth edges on the three different densities of foam padding to ensure reduced static. For more information on the new range and the Madison Genesis team, visit the brand’s website here.